is the next civil rights battle. 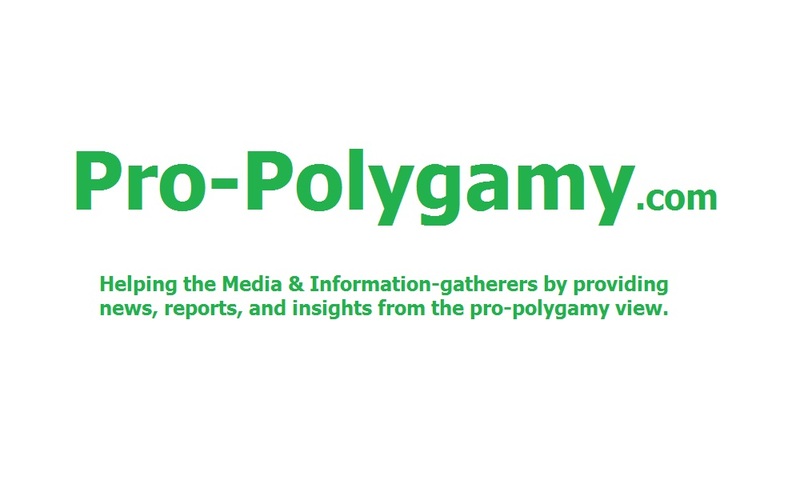 Pro-Polygamy.com is a polygamy-focused resource for the media and other information-gatherers. 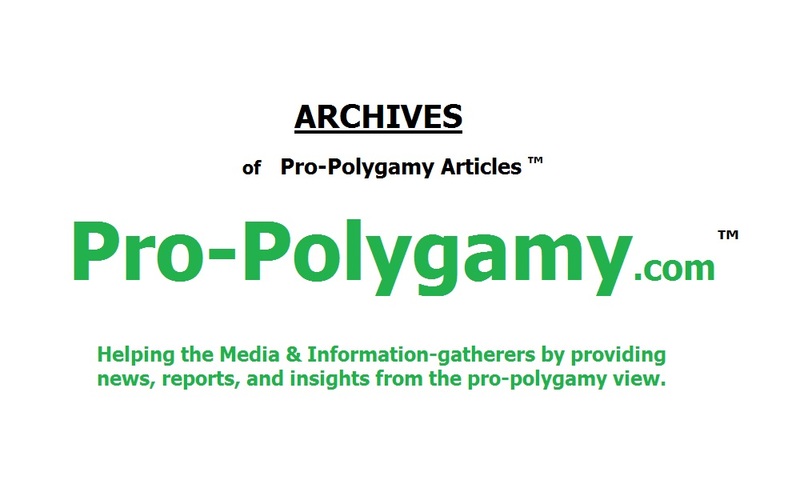 Timely, relevant reports from the pro-polygamy perspective are both sent out to the media and archived at this web-site as Polygamy Articles / News reports. Pro-Polygamy.com only permits the highest-quality, established polygamy authorship. Each writing is inspected for excellence in quality, accuracy, and timeliness. Passing such inspection, the writing is both posted and sent out to the mass media and others through special email lists. These special email lists are comprised exclusively of media and other relevant information sources. This list is growing every week as more and more people make quality recommendations to ADD A MEDIA SOURCE for inclusion on the lists. For spam-prevention, the bottom of every new mailing provides a very easy opt-out option for unsubscription. These special emails lists, therefore, provide the media and others with timely and professional insight on polygamy-based current events. Pro-Polygamy Supporters may also be instantly notified of new writings. Simply, subscribe to the Pro-Polygamy Supporters' NOTICES list. To further assist the media and other researchers, Pro-Polygamy.com also provides a polygamy links list of the highest-quality polygamy sites. is big, Big, BIG News! in the next Civil Rights Battle! Obviously, this brings enormous ramifications for the civil rights of adult, freely-consenting, non-abusive, marriage-committed polygamists. So, this is Big News! 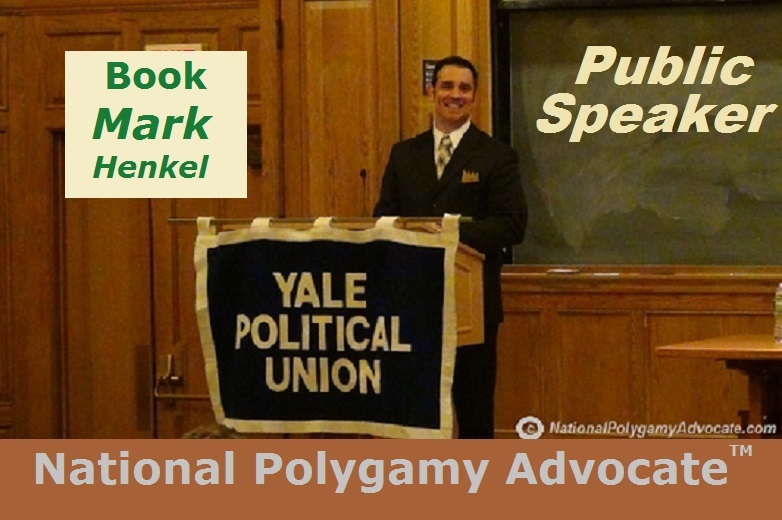 Polygamy truly is the next civil rights battle! Media are able to stay informed in a timely fashion about these matters by either joining or being added to the special Media List. Valid media may obtain direct access to a high-profile, media-experienced, established national polygamy advocate by making an Interview Request. Lawrence v. Texas guaranteed it!